Mode Suisse held bi-annually in Zurich and Geneva, providing a platform where local designers can make themselves known. Providing some new designers a door opener for future collaberation with retail outlets. Such a tremendous turn out last nite. Is this an indication that we are beginning to take Swiss Fashion more seriously? Truly outdid themselves with their awesome collection…I did wonder if there was a little “50 Shades of Grey” inspiration there – smile. 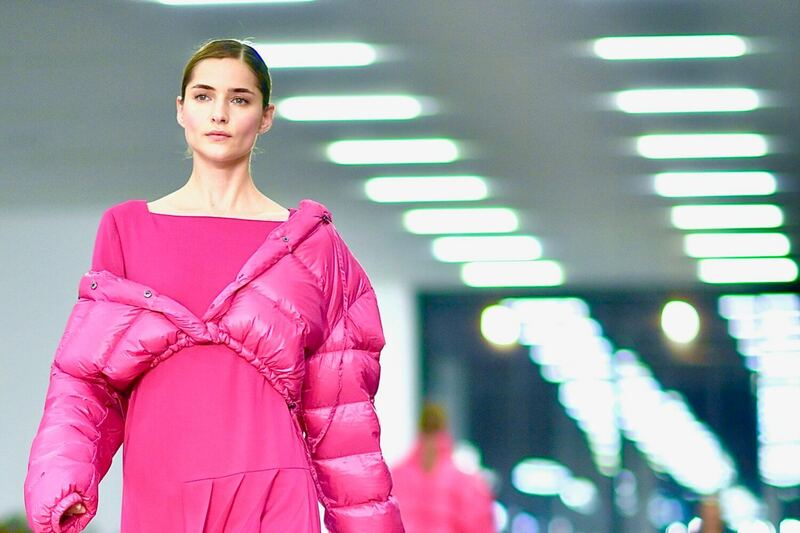 Show casing both men’s and woman’s wear – the collection a cross between reinventing the 80’s and adding a little Science Fiction (quite a fashionable mix these days). A collection inspired by natural elements far related from fashion – check out their website they have some interesting ideas. Brought a collection full of symmetry and comfort for men. Already one of my favourites from the last Mode Suisse show – love the colours and textures. Has a very clean cut style to her clothes – beautiful website! of doing so, to be noticed at all. Has got to be one of Zurich’s most famous local brands – if you haven’t been there a trip to their shop at Strehlgasse is a must! The intention is that this collection have a non seasonal and unisex theme to it – I think you’ll agree with me that this comes through. Julian is internationally recognised and also shows his collections at Milan Fashion Week. The designers Huber and Eglof used to work together for Akris in Switzerland and now have their own brand. The collection was emphasised by fab metallic fabrics and a little of the unusual – as you see with the shoes…went straight home and got the bandages out to add to my pumps going forward – smile! « Secret Tips for Successful Wardrobe Shopping! great spot you got there to take pictures !! #4 sieht aus wie ein Igel! #5 das blau-schwarz karierte Kleidkoennte einen Platz in meiner Garderobe finden.